Alliance ROM for Galaxy S5! SM-G900F/SM-900I/SM-G900T ~ AndroidRootz.com | Source for Android Rooting, ROMS, Tricks and More! Alliance ROM for the Galaxy S5 SM-G900F, SM-900I, SM-G900T, SM-G900W8, and other Qualcomm Galaxy S5 based devices. 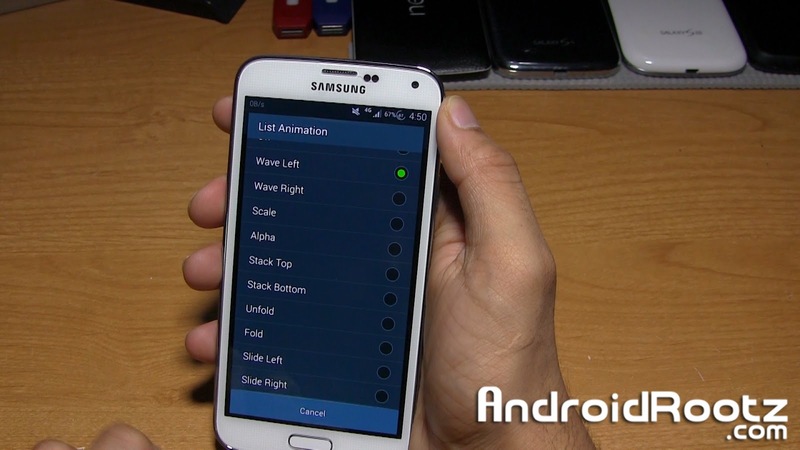 This ROM is based off of Touchwiz, but help improves the experience and customization of the Galaxy S5. Under "AllianceROM" located within the settings app is where all the customization happens. You have options like "Colors" where you can change the colors of text, battery, notification, really just about anything. One of my more favorite features was List Animation. It gives you a wide variety of list animation types to choose from! Another neat feature that I liked was that you can view your CPU usage right within your notification panel, it's pretty neat! You also got Tw Home Mods that allow you to modify the Touchwiz launcher. You can do things like adding effects all the way to adding a theme to it! Download Alliance ROM for Galaxy S5 using the link below!